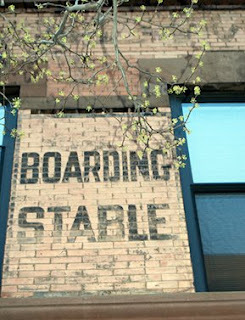 A facility north of here advertised in Craigslist: Quality Horse Boarding and layup - $250. In this area you can't get field board for that amount, so I was curious. With low expectations, I sent an email inquiring if the facility offers bandaging and handwalking. "Yes, I do bandaging and handwalking. I have a Bachelors Degree in Equine medicine so there is not much I can't do." Well, might be worth a visit anyhow. I have a friend who graduated from a "horse college," with a bachelor's and I'd let her take care of my horses anytime. However, the low price does leave a question. Then again, if I were boarding a horse at my place...could only do one, I might not charge a lot either. Depends on the circumstances. How funny is that. People are just amazing. I would guess she doesnt have alot of hands on experience or she would have mentioned it... Sounds fishy to me. Um... at least she's confident? I'd check it out, but not be terribly hopeful.